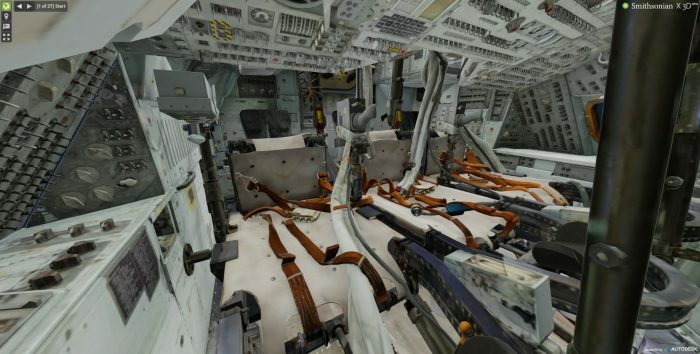 NASA and the Smithsonian Museum have made available a high resolution 3D scan of the Apollo 11 Command module which is made up of over a trillion points. You can view it here. Screenshot of the version available on the web is shown above. Downloadable models are available on the main page here. 47 years ago we landed on the moon. Admiration and support are due to those among us who are trying to get us back to the moon and beyond. Fantastic. I have enormous admiration for the all the Apollo missions – and we wus there! !